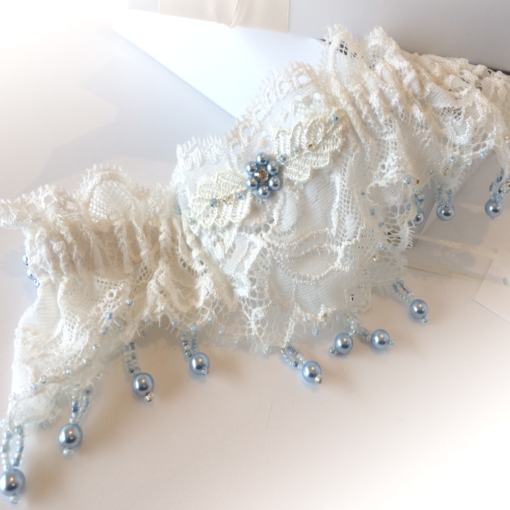 For this luxury Swarovski garter I’ve handstitched the gorgeous ivory lace with light blue 6mm Swarovski pearls and clear crystals, the soft French lace I’ve lined with a pure silk band concealing the elastic. 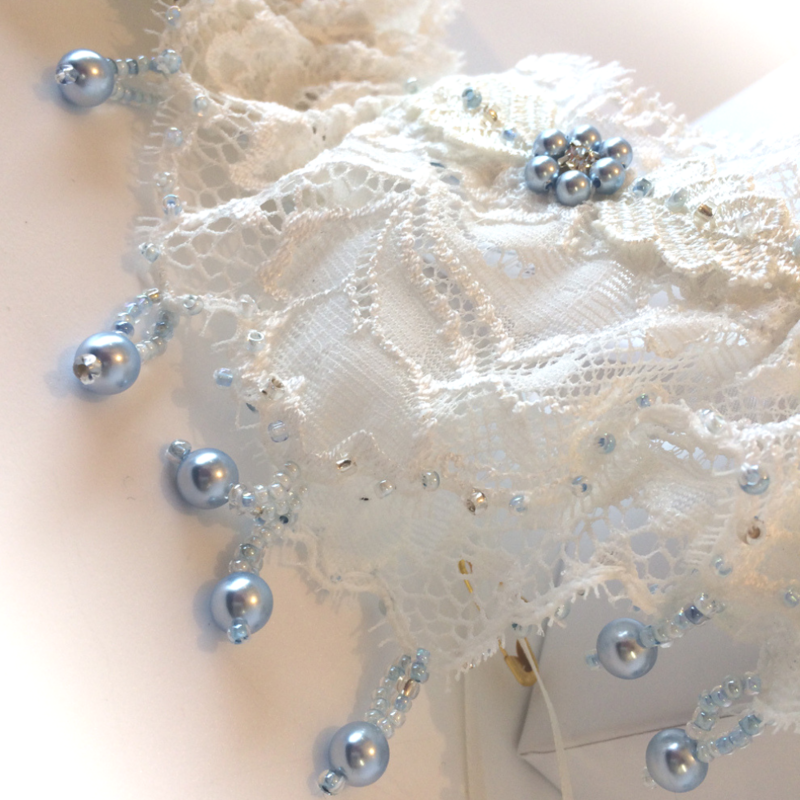 I think of this as one of my signature designs… I love hand stitching all the tiny seed beads and pearls! I’ve chosen Swarovski pearls for their unique shimmer and created droplets with the tiny blue seed beads. 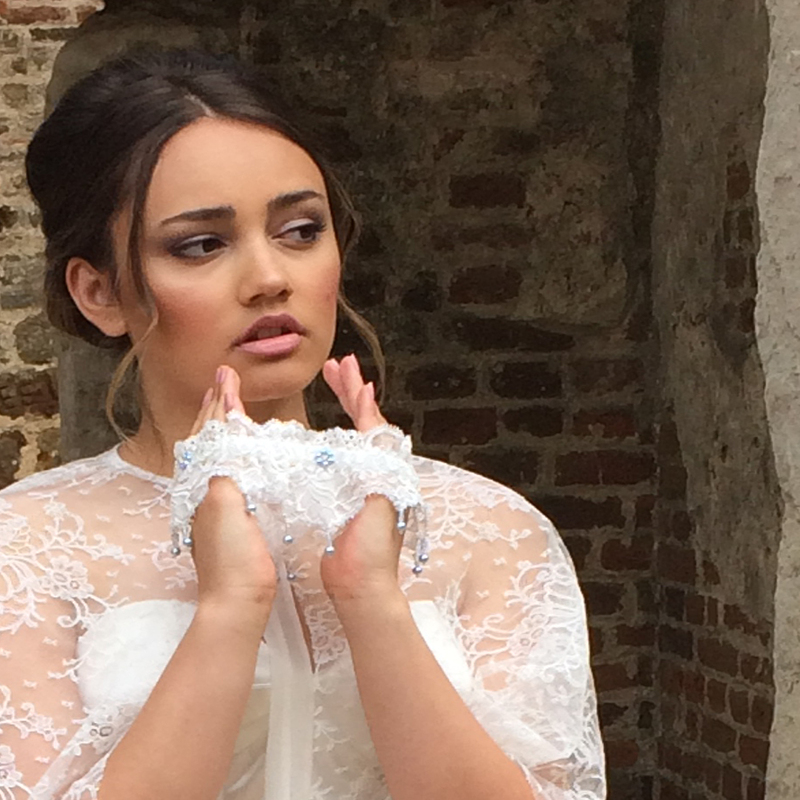 They highlight the unusual design on the lace as well as creating points and scallops for edges of the flowers petals and leaves. 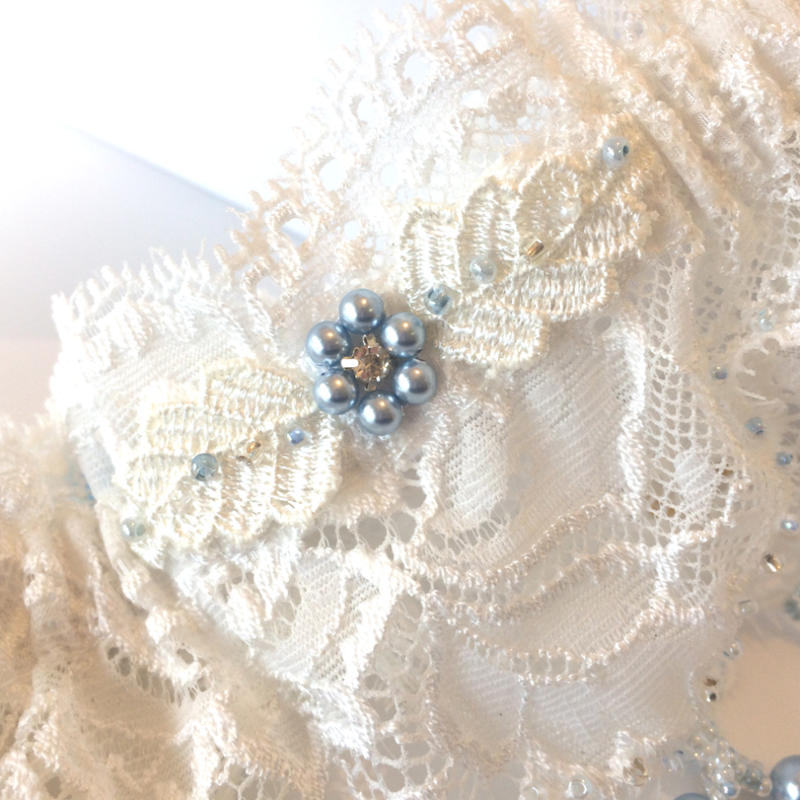 You’ll see I’ve hidden the elastic inside a pure silk band and on the outside, I’ve stitched Swarovski pearl flowers with clear crystal centers. The main pearl flower on the front of the garter has guipure leaves too, their veins also stitched with seed beads. 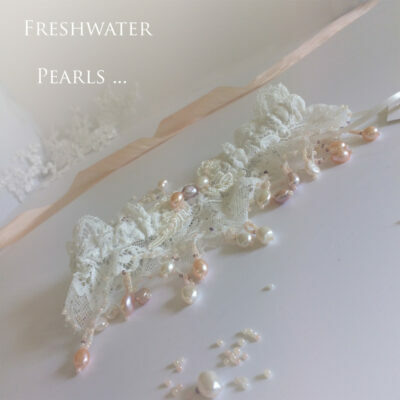 If you would prefer all ivory, I have the ‘Leila’ wedding garter with its silvery beads and pearls or have something made just for you, Swarovski have some beautiful colours in pearls you can choose from.